Books of July | Damian Trasler's Secret Blog - Do Not Read! To be honest, I was little surprised to find myself picking this book up. The first volume had set out a complex world with a long, involved history that was part myth, part song, part imaginary dream etc etc etc. The lead character was a damaged orphan with unexpected magical ability who is given a letter that leads him to a magical education establishment. But, despite my misgivings, I wanted to know what happens next, which has to say something about the writing, doesn’t it? And there’s plenty more of what happens next. There’s foreshadowing aplenty, since this is a tale being told in the present over the course of three days, and this book is day two. The hero is an old man recounting the tale of his youth in a tavern he owns, and there are hints that his past is catching up with him, and not in a good “marry your high-school sweetheart” kind of way. The bad news is that book three isn’t around yet, and there could be another long wait for that. I should ensure all the books in a series are written before I begin reading. This one surprised me. It says on the cover it’s published as part of the “Hard Cases” crime series, so I was expecting a fairly straight story, even though it’s Stephen King. But, inevitably, the supernatural sticks a hand in. It’s a great read though, and I devoured it in a day and half. The story follows a young man who spends a summer working in an amusement park, though it’s a place that has shadows in its past. 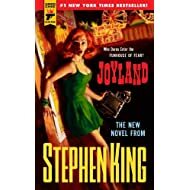 Even if you think you don’t like Stephen King, try this one. As you know, I’m writing a zombie book myself, so I picked this one on a whim. It turns out the author was writing this story periodically on her blog, and was pressed into publishing by friends, fans, and ultimately an agent. She did a good job, creating an interesting and real zombie apocalypse, with the added fun bonus of characters who are aware of, and reference, zombie movies and tropes. I liked the fortified enclosure she created for her city survivors, and the fact that there may be more of these books out there already. I’ll be looking out for them. 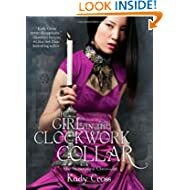 There has to be some Steampunk in the mix too, and this one caught my eye because of the beautiful cover art. Yes, I judge books by their covers. That’s what they’re for. The storyline is neat enough, combining elements of Jekyl and Hyde with the notion of Professor Xavier’s academy from X men and the investigations of the X files. I wasn’t too sure about the tech involved – how exactly does a portable telegraph actually work? But it’s sufficiently different from others in the genre to be interesting. However, I did feel that some of the character’s thoughts got rolled out again and again. Someone would be striding around their room, thinking to themselves how insufferable so and so was, then they would encounter so and so a minute later and recount their thoughts of the previous page. So and so would then storm off, mulling over the things just said to them. All that may happen in real life, of course, but the upshot here is that we, the poor readers, go through the same stuff THREE TIMES. Eldest Weasel is playing her way through the original Halo game, and I saw this pair of graphic novels come into the library where I was working. I waited til they were out on the shelf and other people had had time to see them, then booked them out to me. They’re good adaptations of the books, which are extrapolations of the game and back story. 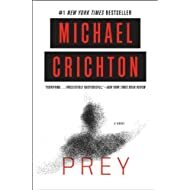 I haven’t read a Crichton novel since “Airframe” nearly put me off flying for life. But this one looked neat and I thought it was time for a grownup book again. It’s the usual mix of tech and hubris, and while I struggled with some of the technical details, the actual plot and procedure all made enough sense for a gripping read. If you’re interested in nano technology or organic/tech interfacing, then this is a book for you. 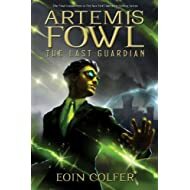 My memory of finding the first Artemis Fowl book is that I read about it in the same “Summertime reading suggestions” article that mentioned a book about a boy called Harry Potter. Neither were big yet, and I bought both over the same weekend. I liked Artemis Fowl’s adventures for the first four books. After that I felt things went a little off the rails, and I missed “The Atlantis Complex” and this book altogether until last month and this month. I’m glad I went back to them. This book was back on track and is a good way to wrap up the series. I hear Disney is making a movie of the first book, and will be interested to see what they do with it. 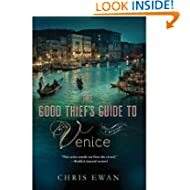 This book takes the characters from the first book and throws them across the Atlantic to mess with a criminal gang in New York. There’s some historical accuracy, some guest-starring by everyone’s favourite scientist (Tesla, of course) and more mucking about in the Aether. Oh, and clockwork. My previous dissatisfaction remains, but I still read the whole thing. 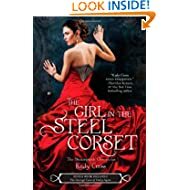 The characters are interesting, and it’s nice to have a strong female character in a period book. This book collected together tales whose only connection was – you guessed it – love and death. And now I can’t remember any of them. Maybe seeing the cover in a couple of minutes will help, but right now, none of them leap out. It’s been a big month for reading, and some of the books have been blinders, and some of the ones I’m reading NOW are obliterating my memory completely. Yes the image helped. 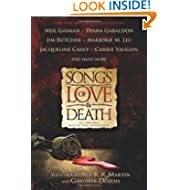 Neil Gaiman’s story was as twisted yet enjoyable as you’d expect, and I was disappointed by only one or two of the stories in this volume. Worth a try, certainly. This was a brilliant (and free!) download I came across on G+. 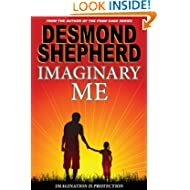 Written from a first-person perspective, which is always hard, the difficulty is compounded by the fact that the person narrating is the imaginary friend of a little girl and only exists when the girl thinks about him. 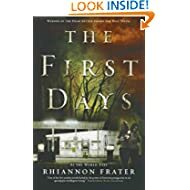 The story brilliantly conveys the miserable circumstances of the girl, the world around her and the desperate plan that might, just might, save her life. Brilliantly done. I donated this one to Mrs Dim, since she’d run out of things to read, and she was unimpressed. I have to say that after a good start, introducing the narrator who’s a reformed (ish) cat burglar turned novellist, everything went downhill from there. The plot was wild, unlikely, difficult to follow and ultimately unsatisfactory. 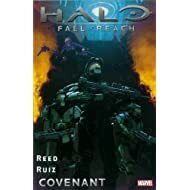 I picked up this book from my shelf after watched Eldest playing more Halo and being re-energised about the stories thanks to the graphic novels of earlier this month. 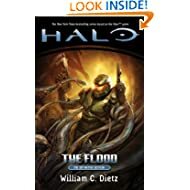 This book really is the novellisation of the first game, and though it’s been criticised for being little more than a book-length walkthrough, there’s actually more characterisation and some back-story development and some filling in of the gaps that you don’t get in the game, since your perspective there is limited to what the Master Chief can see. And if you don’t follow that, go play the game. It’s ACE! Timothy Zahn had some work to do to recover from the dull “Night Train to Rigel” thingy I read last month. Fortunately the cover alone made this book worth picking up. 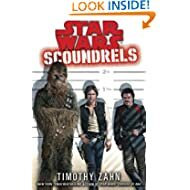 I thought at first he’d written a standard heist book and converted it for the Star Wars universe, but soon realised he’d written this book with Star Wars in mind all along. It ties in with later events, later characters and only works with the gadgets and people of the SW universe. However, the scene where he puts a whip in Han Solo’s hands and makes him run along in front of a huge boulder…well, that was just grandstanding. Worth reading just so you can shake your head at that bit. Not to mention the inevitable manipulation of dialogue so Han can say the line “Well, I shot first…” which seems to be de rigeur for any book featuring Solo these days. I think the Star Wars writers have a bet on…. 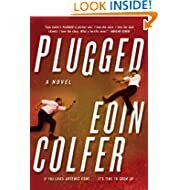 So, Eoin Colfer isn’t writing any more Artemis Fowl books, and if there’s any justice in the world he won’t be writing any more Hitch Hiker’s Guide books either. This is the kind of thing he’ll be writing instead – the adventures of an ex-army bouncer, inadvertantly caught up in a drugs-related gang war, hunted by cops and villains alike, trying to save the few friends he has and maybe make some new ones on the way. It was grim fare at times, but the lead is likeable and the plot moved fast. Plus it was unpredictable and ended well. Please leave the Hitch Hiker (and Dirk Gently) books alone, Mr Colfer, and give us more like this! As usual, I haven’t included the audio books I’ve been listening to this month, like the excellent “The Ocean at the end of the Lane”, since I often revisit old favourites for a chapter or two, and keeping track of what I listened to when isn’t as practical as noting which book is going back to the library. I read on a website this week that it’s recommended that people “try to read at least one book a month” to improve and broaden their minds. If this is true, my mind should be so broad I could pull it out my ears and tie it under my chin. 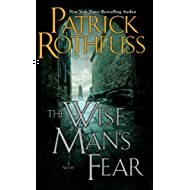 This entry was posted in Book reading and tagged Artemis Fowl, Eoin Colfer, Good Books, good reading, Halo, Kady Cross, Neil Gaiman, Patrick Rothfuss, Scoundrels, Star Wars, Timothy Zahn, Wise Man's Fear. Bookmark the permalink. Pingback: August reads: Summer distractions | Damian Trasler's Secret Blog - Do Not Read! Pingback: The Books of November | Damian Trasler's Secret Blog - Do Not Read! Pingback: The Books of December and the year’s roundup | Damian Trasler's Secret Blog - Do Not Read!